If you’ve ever been responsible for labeling a product, you know all too well the many decisions and choices that have to be made. What type of labeler do I need? Will my current labeler work? What label manufacturer should I use? These questions could go on and on, especially if you have no idea where to start. 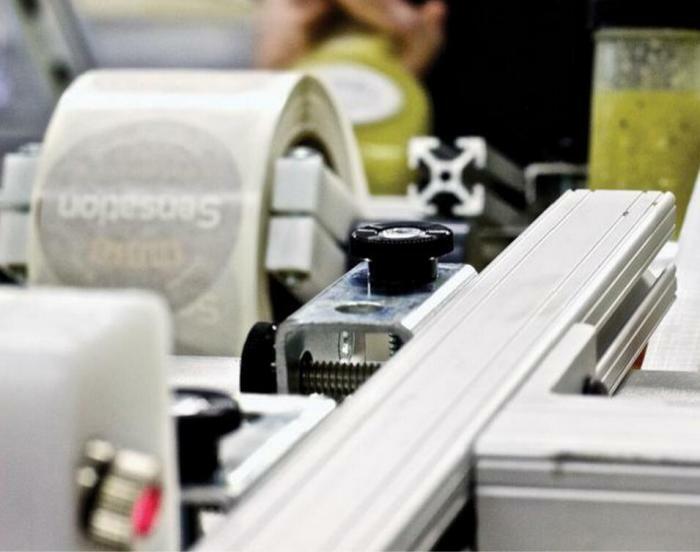 With a seemingly endless number of labeling machines to choose from, picking the right labeler and label for your product can be overwhelming. Then, the search may become downright frustrating when you realize that most manufacturers have a minimum order requirement. Sometimes you may start to question your methods regardless of if you have experience or not. You wonder, how do I know what label application I need to use? Am I getting the right kind of label? What will I do with all these labels if I make the wrong choice? • What is being labeled? Is it a bag, a carton, a clamshell, a pouch, or a bottle? A machine appropriate for labeling jars and bottles may not be appropriate for a flexible package. • What is the product made of? An application surface that is smooth and clean may not require the same labeler as a rigid or rough surface. • Where on the product do you want the label? Some labeling machines are made for wraparound labels on bottles while others do simultaneous top and bottom or two panel labels. Consider where the labeling process will take place in your production line. This will help determine the type of labeler and application needed, and knowing the labeler and application you will be using will help determine label sizes that are possible. The production line and the product’s packaging almost always determine what type of labeler is used. Ascertain all the different environments your product will be exposed to. What is the room temperature of the packaging environment, transportation, or final destination? Knowing whether a product will be indoors, outdoors, in a freezer, or used in an oven will help your label manufacturer narrow down what label and adhesive will work. Based on the product and the labeler, you can then go to your label manufacturer. The questions above should begin to narrow down your options. Share as much information with your supplier as you can to help ensure you are getting the best label for the job. Both graphic requirements and total volume might dismiss some more options.